These are the voyages of Brien M. Posey. IT expert by day, Scientist-Astronaut Candidate by (well… also by day, just not the same days). This book is my own personal story of what it has been like to spend the last three years training to go to space as a commercial scientist-astronaut candidate (I am not a NASA employee, nor am I a NASA astronaut). Some of the training has been ridiculously fun. Some training has been anything but fun. 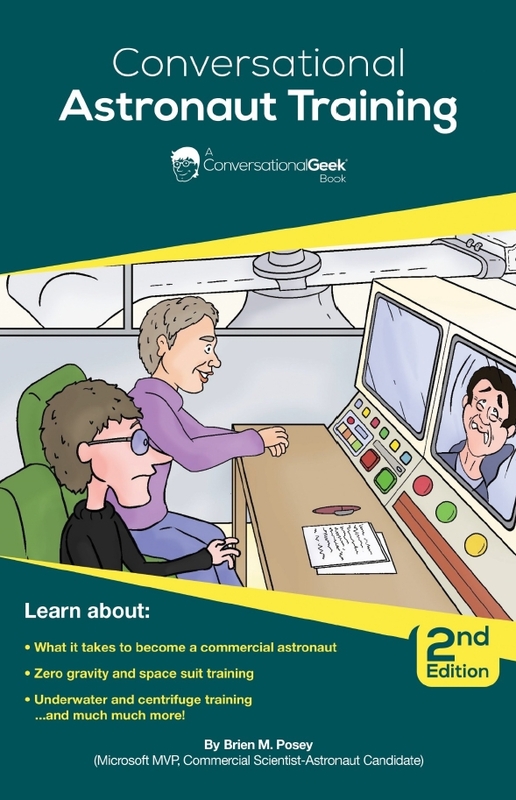 In the book I talk about coping with the power of a launch, learning to handle weightlessness, working in a space suit, and so much more. If you have ever wondered what it might be like to train to be a commercial astronaut, then this book is for you.